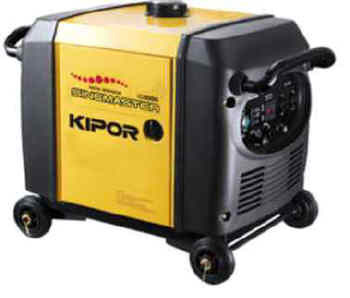 This generator handles large power needs. Run a 13,500 BTU air conditioner or a 1.2 Horsepower air compressor or an automatic washer. The standard wheel kit with locking swivel wheels makes it extremely easy to move on all but the roughest surfaces. Its low noise design makes it acceptable in any campground. Its large capacity fuel tank enables it to run 8 hours at full load on a single tank of gasoline.